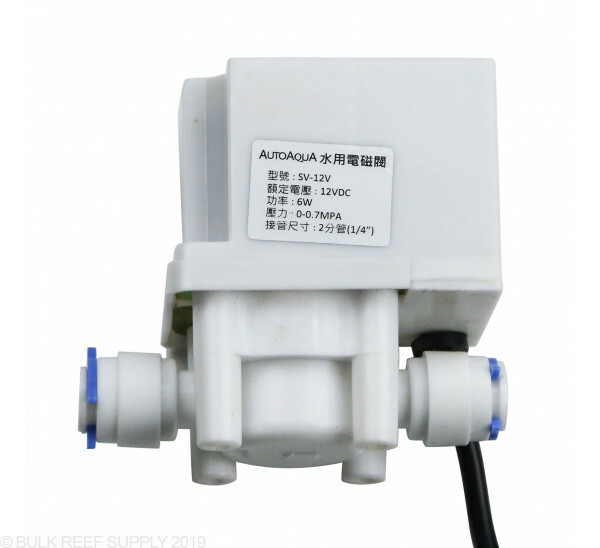 AutoAqua auto top off units now have the ability to hook directly up to a RODI solenoid to replace the pump they are equipped with out of the box. If you have upgraded to a larger system, or just simply don't have the room for an ATO storage container this may be the option for you. 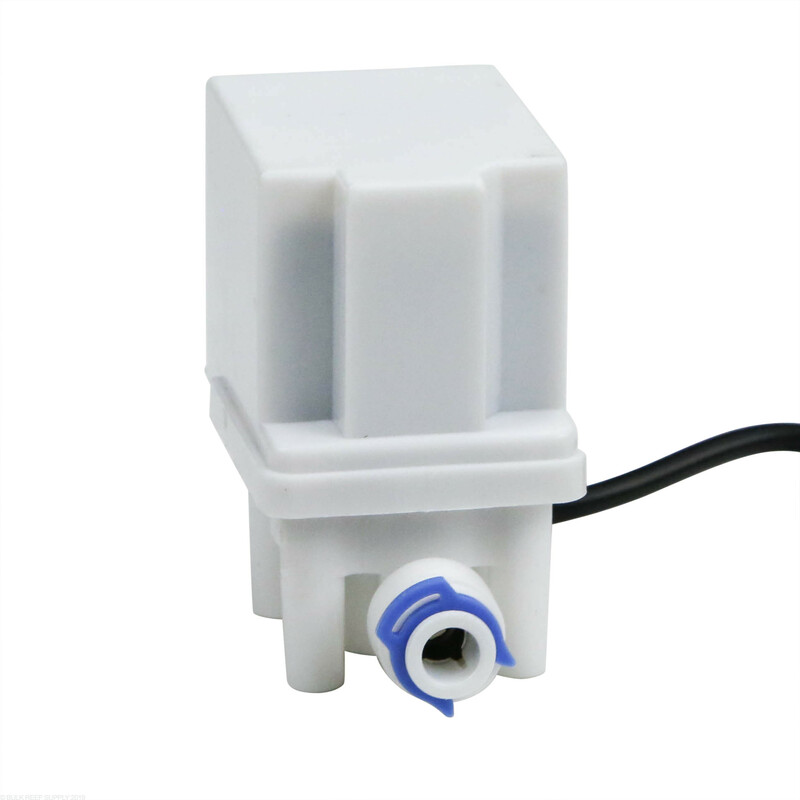 Replacing the stock pump with the Smart Solenoid will easily take under 1 minute. Simply disconnect your current pump from the controller and plug in the solenoid. It is that easy. 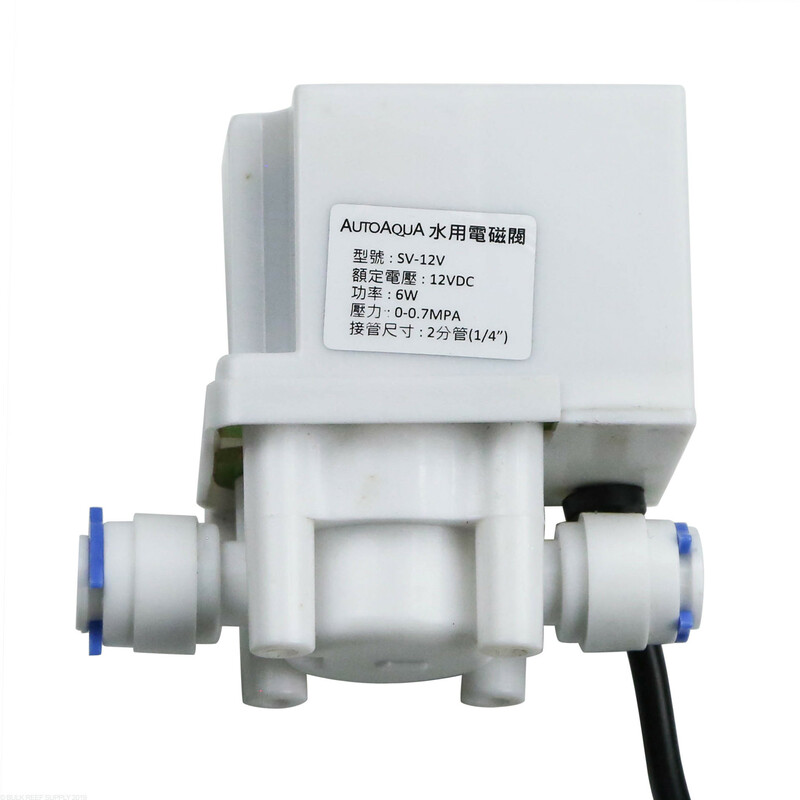 The solenoid works in conjunction with the ATO controller and sensor to allow the flow of RODI water to your sump and when the water level is replenished the sensor will tell the controller to shut off power to the solenoid to close the valve and stop the flow of RODI water. 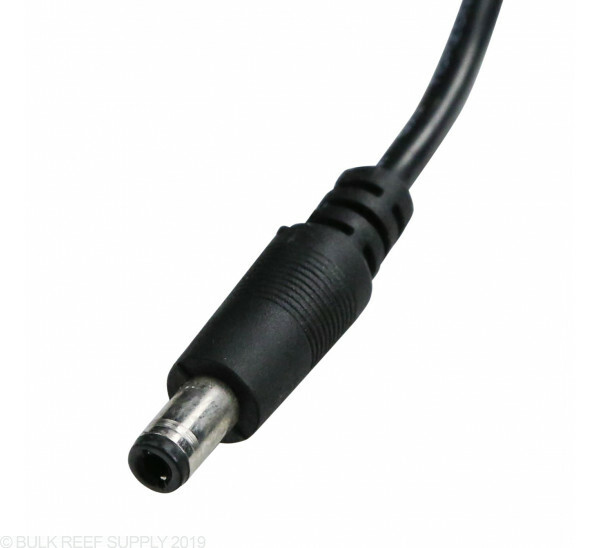 The solenoid uses 1/4" push connect fittings to allow RO tubing to connect quickly. All BRS RODI systems use 1/4" tubing on the product water line. Note: While hooking a RODI system directly up to an aquarium can be a very simple, and reliable method for replenishing evaporated water there are inherent dangers that come with a direct connection to an endless water supply to your tank. By utilizing a solenoid in conjunction with the Smart ATO systems, you can help decrease the risk of an overflow, but as with all things mechanical or electrical can fail over time. We highly suggest placing a RODI float valve higher than the water level in the sump as a back up if the solenoid or controller is ever to get stuck in the on position. I has this ATO RODI Solenoid installed inline with my RODI system and being controlled by the AutoAqua Smart ATO. Over all the solenoid functioned great. I might be crazy but I liked the fact that I could hear and audible click from the solenoid when it opens and closed. With year of experience working with these type or controls I know that with that sound there is a strong closer spring in the unit. My only problem has been with the Smart ATO if I could get it it work properly then everything would be great. My system uses a 55gal drum of RODI 4 feet above the sump as the reservoir for the ATO, no pump needed. I just needed a valve that could hold back 4 feet of static head, about 1.7psi. This does so beautifully. It plugged in just as the pump would have. The controller knows no difference. I suppose I could have run it right from the RODI output with another T and some more line. This was cleaner plumbing for my rig though. I did drill the sump and install the float switch as a redundant safety as suggested. The whole thing is safe and silent. My salinity is now very stable. Great product. Will this work with the Smart ATO Micro or only the standard Smart ATO? It will work with either the Smart ATO Micro or the standard Smart ATO. These are intended to be used directly with the SMART ATO systems. It can plug directly into the power supply of the Smart ATO which controls both the controller and solenoid. For further technical information you will need to contact CoralVue directly. I have included their contact below. Can I use this with my apex controller?